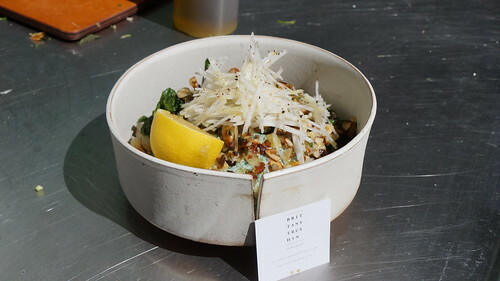 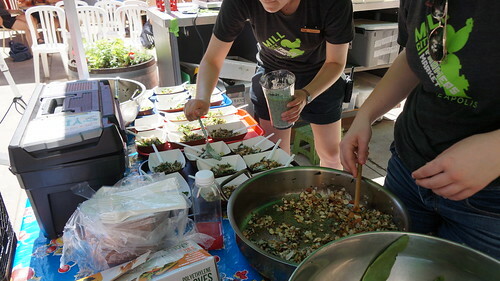 Mill City Cooks: Wild Rice & Market Vegetable Salad - Mill City Farmers Market 2018 - Minneapolis Riverfront Neighborhoods. 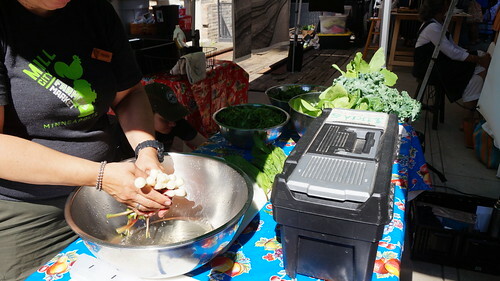 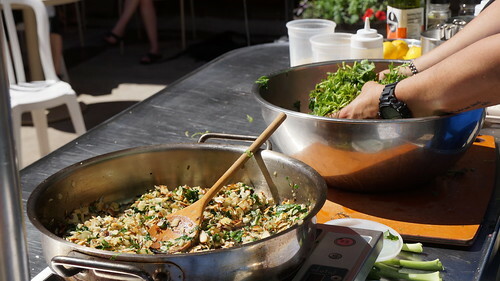 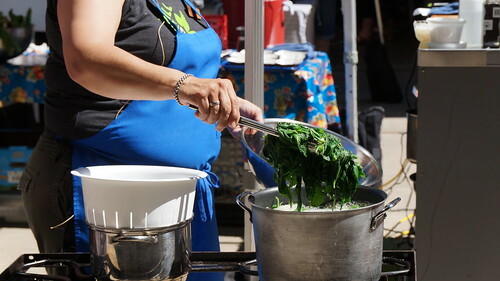 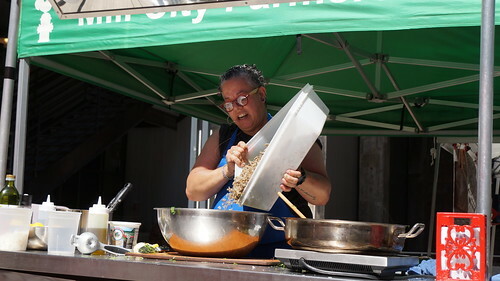 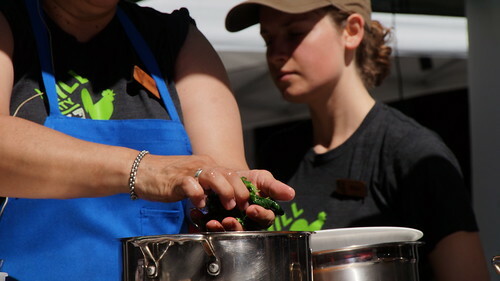 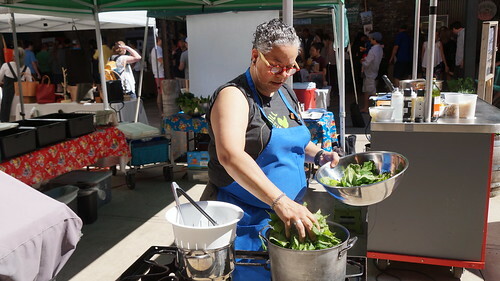 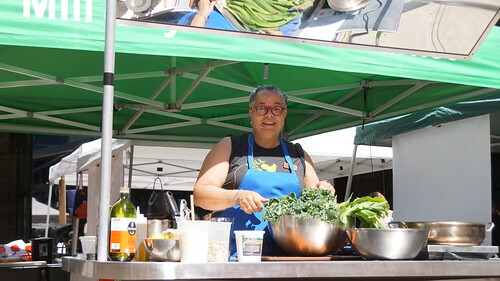 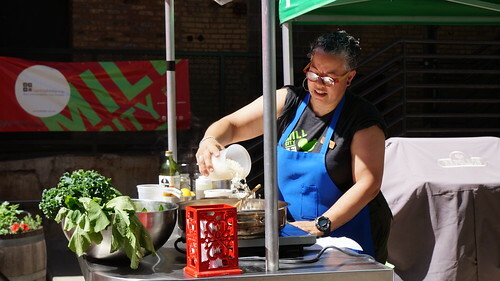 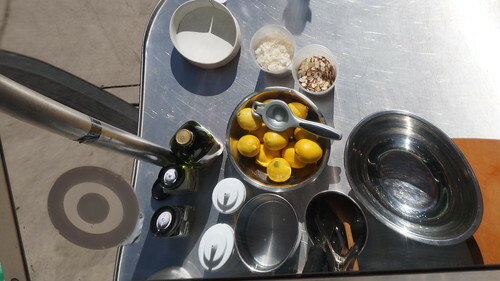 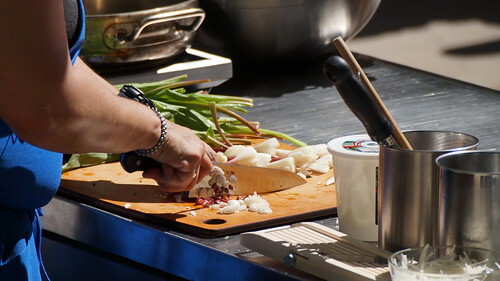 For the May 26 Mill City Cooks demo, Chef Nettie Colon prepared Wild Rice & Market Vegetable Salad. 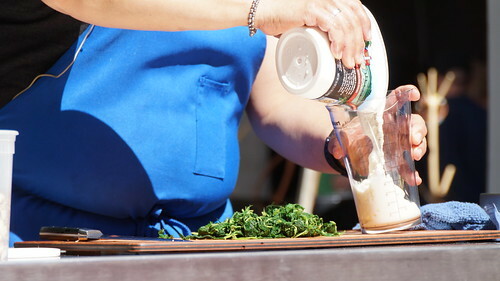 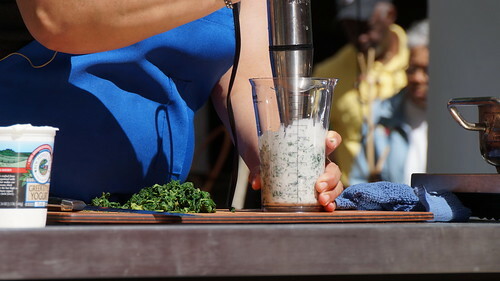 She started with a Nettle Yogurt Dressing, which consists of blanched nettles, Greek yogurt, olive oil and salt. 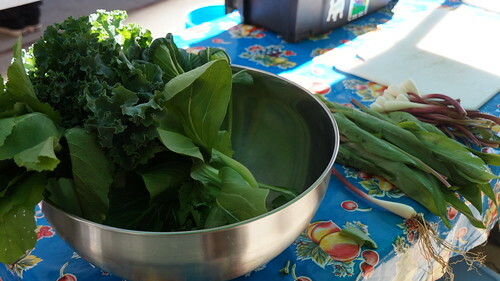 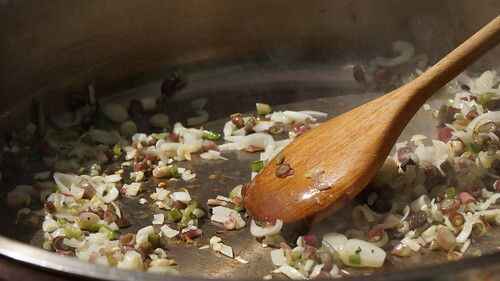 Blanching takes only a few minutes. 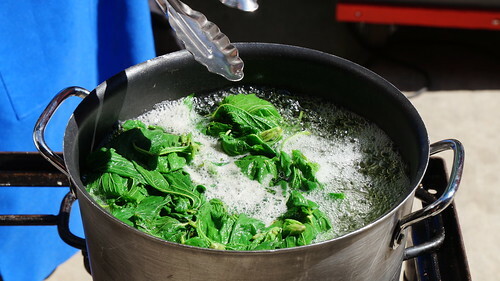 The nettles go from boiling hot water to an ice bath and then get the liquid squeezed out before being finely chopped. 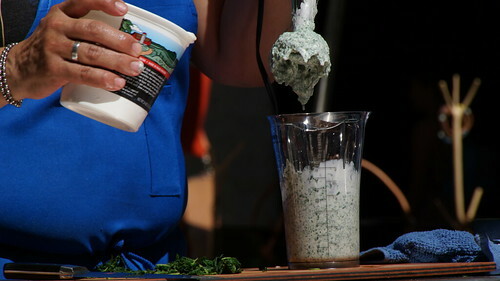 Olive oil and salt are added and the dressing is emulsified. 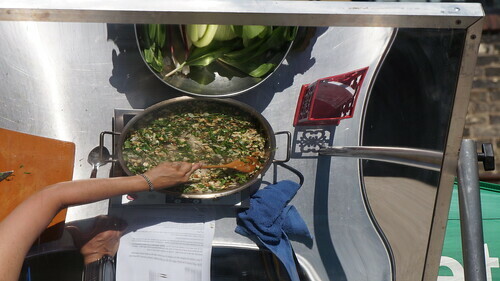 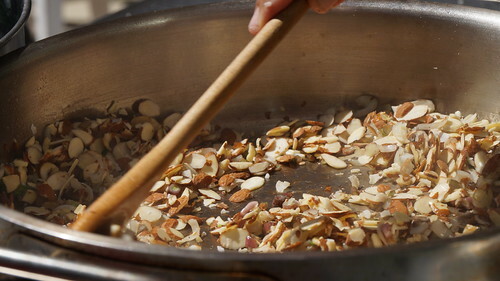 Next, the sliced almonds and coconut flakes are toasted, and ramps are added. 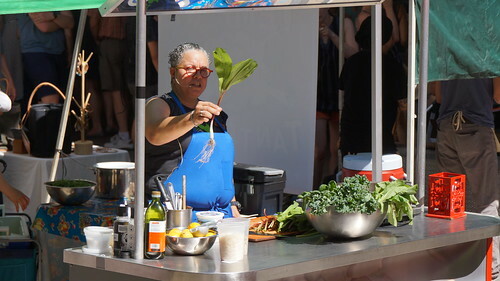 Nettie added chopped greens, olive oil and lemon juice to the sauté to complete that part of the recipe. 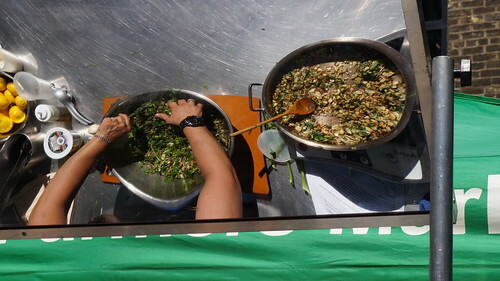 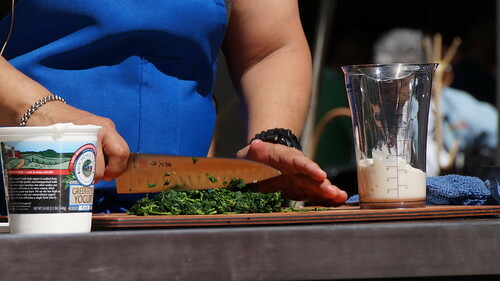 To finish it up, she mixed cooked wild rice with some of the almond mixture (reserving some for garnish), and gently blended it together with more chopped greens. 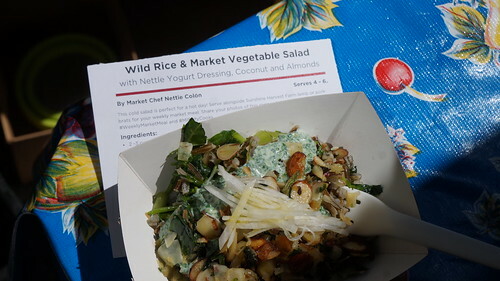 Nettie displayed the finished meal, garnished with julienned daikon radishes and the Nettle Yogurt Dressing, in a dish created by artist Brittany Trushin. 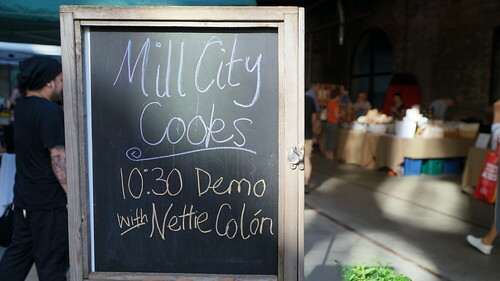 Recipes demo'd at Mill City Cooks can be found online. 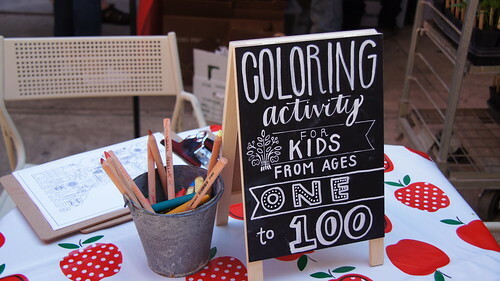 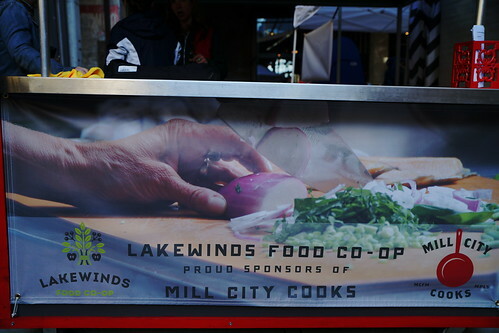 Thank you to Lakewinds Food Co-op for sponsoring the 2018 Mill City Cooks series, and providing fun activities for the little ones!